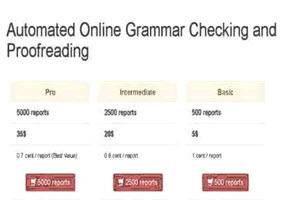 Spellcheckers assume that if a word is correctly spelled, it is the correct word. However, you may have chosen the wrong word. Thus, the last step should be your own careful proofreading of a paper copy, and a read-through by the most finicky person you know! It is not easy to proofread your own material well. By the time you have worked on the paper for awhile, you are no longer as observant as you might be. You will tend to read what you think is there, not what is actually on the page. One way around this is to pair up with someone else. As one of you reads aloud from one copy of the paper, the other should follow along on a written copy. If you must go it alone, it is best if you can lay the material aside for a period of time before proofreading it. A fresh start makes it more likely that errors or stylistic flaws will be detected.